Hello, interwebs! Long time no see, eh? I took an unexpected blogging break over the holidays because I suddenly found myself swamped with a) a new job and b) two new museum contracts. Needless to say, I’ve been busy! But, I’m finally getting into a good rhythm and am excited to get back to Museums Askew and all of you. 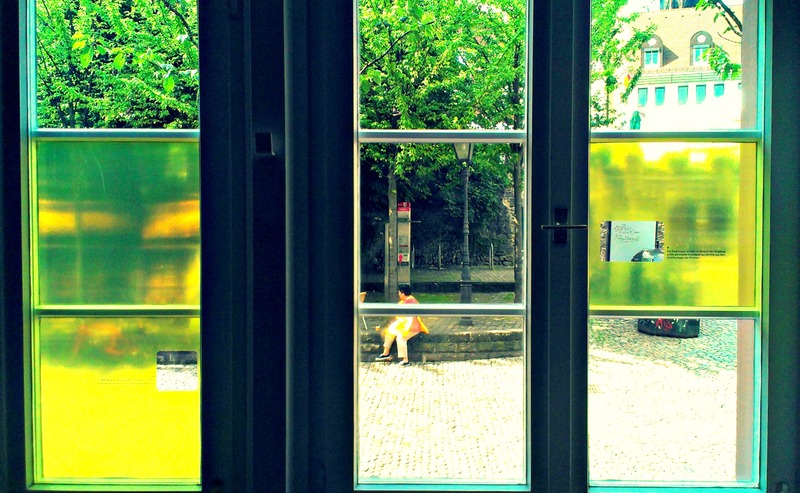 To ease back in, I thought I’d share one of my favorite views from the Freiburg Naturmuseum – one looking out, not in. 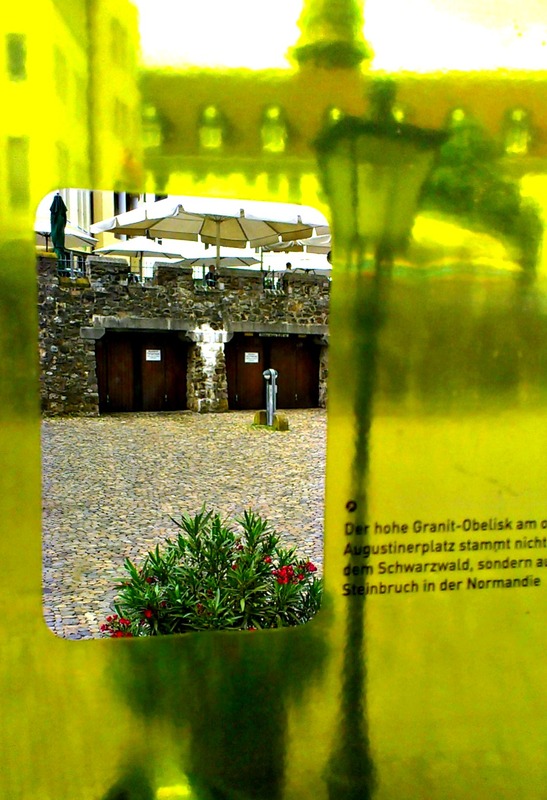 In Steinreich, the museum’s geology exhibit, there are windows looking out onto the Augustinerplatz, one of the most popular gathering places in the city. Filled with paving stones, statues, obelisks, and the occasional gargoyle, the square is a mini local geology exhibit in itself. To bridge the connections between the displays inside and the city outside, the museum frosted the windows leaving specific “peepholes” that highlight the special stones and structures of the square. It’s such a simple idea, and it works beautifully. It’s a popular idea, too. On a recent visitor study of the exhibit, the average visitor spent a little under one minute with the peepholes and their accompanying labels.